Episode three, the last in the series, saw the Service brace itself for a demanding weekend shift as Londoners headed out to play. 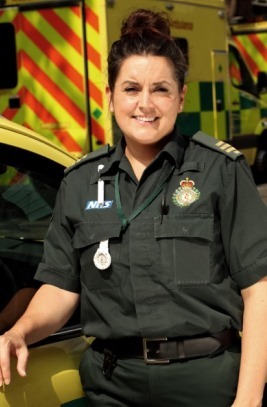 In Brixton, ambulance crew Dan and Donna responded to a man who’s became agitated after taking a drug overdose. When he became aggressive, advanced paramedic Rich McGirr arrived to support the crew as they took him to hospital. Meanwhile, paramedic Andy Whitehouse came to the aid of a man who had been violently assaulted at his favourite kebab house. It’s a happier Friday night in the control room, where five babies were delivered over the phone, but when Saturday comes, ambulance dispatchers were forced to make tough calls about who gets an ambulance quickest and who will have wait. Fulham ambulance crew Ned and Nick had a busy night in the centre of town, where they treated two stabbing victims in one night. And over in East London, medics Paul and Abi were called to a comedy club to treat a woman who thinks tight underwear has caused her to faint. As the weekend came to an end, a call came in about a miscarriage, and all the preparation in the world couldn’t shield the control room and the medics on scene from the emotional toll of sharing a personal tragedy.